This one was a little too fun not to post. 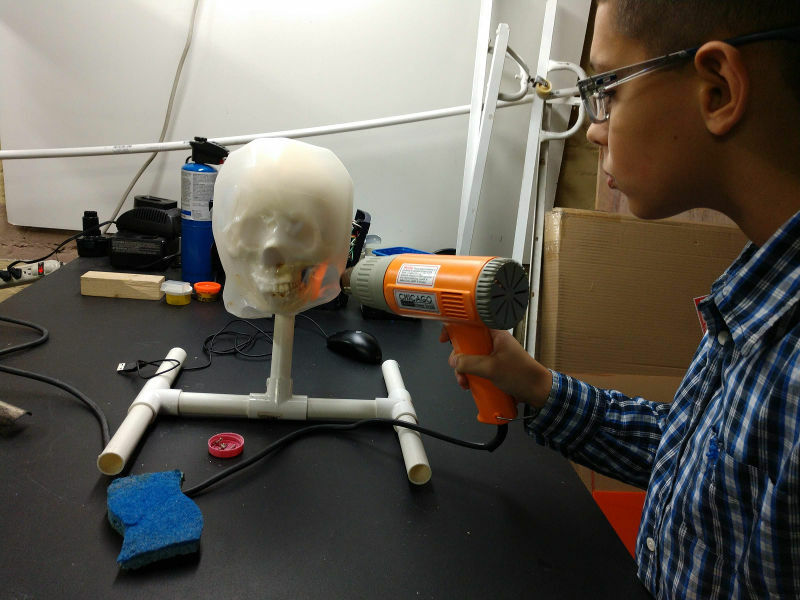 At our last Castlemakers Kids meeting we used a heat gun and a skull to shrink the plastic milk jugs. 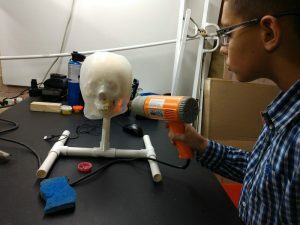 It also helps to have a wet sponge available to cool the plastic and prevent shrinkage from pulling the plastic back out of the eye sockets when cooling. 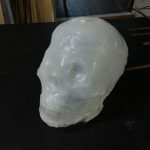 Special thanks to JJL for the great skull to use! 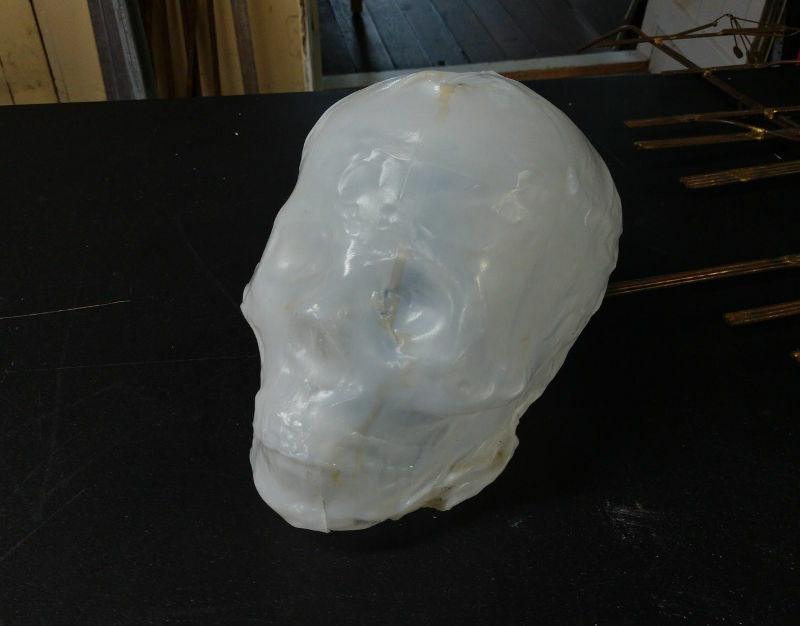 The finished milk container skull. Steve Hunter on What is Castlemakers?